Göreme is a district of the Nevşehir Province in Turkey. After the eruption of Mount Erciyes about 2000 years ago, ash and lava formed soft rocks in the Cappadocia Region, covering a region of about 20,000 km2. The softer rock was eroded by wind and water, leaving the hard cap rock on top of pillars, forming the present-day fairy chimneys. 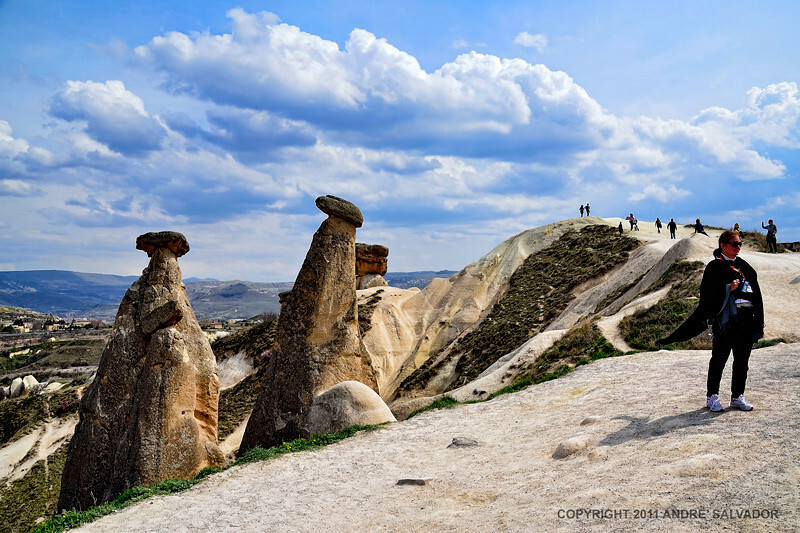 People of Göreme, at the heart of the Cappadocia Region, realized that these soft rocks could be easily carved out to form houses, churches, monasteries. These Christian sanctuaries contain many examples of Byzantine art from the post-iconoclastic period. These frescoes are a unique artistic achievement from this period. In the 4th century small anchorite communities began to form in the region, acting on instruction of Saint Basil of Caesarea. They carved cells in the soft rock. During the iconoclastic period (725-842) the decoration of the many sanctuaries in the region was held to a minimum, usually symbols such as the depiction of the cross. After this period, new churches were dug into the rocks and they were richly decorated with colourful frescoes. The valley, and other troglodyte ("cave-dweller") habitations in Cappadocia, may have been inhabited since Hittite times, but Göreme is known for its thousand-year-old churches. Most of the frescoes in the churches have been damaged—many of them badly damaged—by wind, water, weather, earthquake, and shepherd boys who sought refuge in the caves and used the faces of the figures as targets for pebble attacks, having been taught that images were sinful. But the beauty of the churches and their decoration is still apparent. In Alberta, Canada; North dakota and Wyoming, USA, people call these shaped rocks "Hoo-Doos". Here in Cappadocia they call it "Fairy Chimneys".